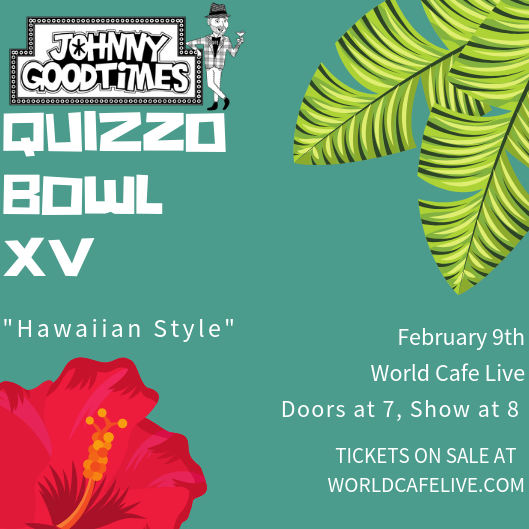 So You’re Attending Quizzo Bowl? Here’s What You Need to Know. PARKING: There is none. Well, very little. Best way to get there is definitely Uber or Lyft. SEATING: Doors open at 7 p.m. First come first serve when it comes to tables. The good news is that there isn’t a bad seat in the house. SHOWTIME: Show starts at 8 p.m.
SHOW LENGTH? 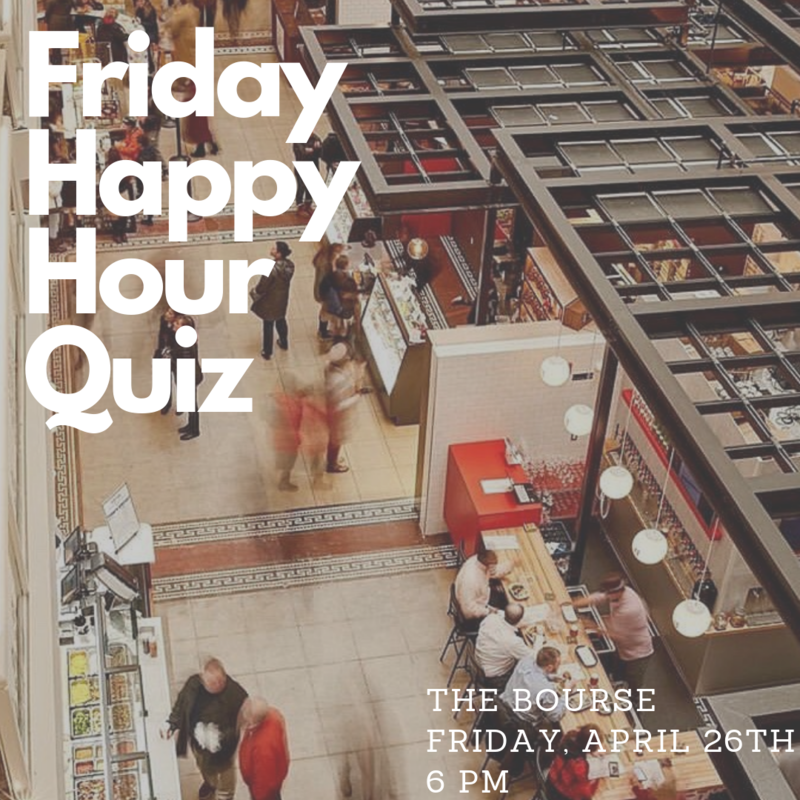 This isn’t your typical pub quiz: live music, videos, comedy, etc. It’s really as much of a show as it is a quiz. So sit back, relax, and enjoy. The show typically ends at around 11:15. 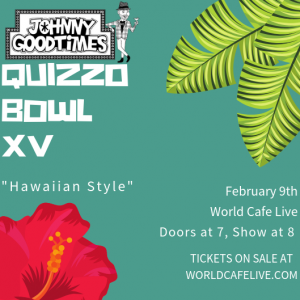 FOOD AND DRINK: World Cafe Live will have food and drink you can order for dinner, including Mai Tais and Blue Hawaiians. WHAT IF WE WIN? You become a nerd immortal and walk forever in the pantheon of greatness. You also win $800 worth of prizes. WILL IT BE ALL HAWAIIAN THEMED? 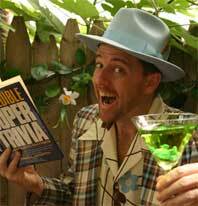 No, I’d expect a Hawaiian twist to some of the questions, but it will certainly not be all questions about Hawaii. WHO ELSE GETS PRIZES? 2nd place, 3rd place, 15th place, best dressed team, and Last Place. Oh and we’ll do a bunch of raffles too. WHO IS THE BAND? Slowey and the Boats, a Hawaiian surf band. These dudes are legit. SHOULD WE TAKE PHOTOS? Yes! Please take as many photos as you want…between rounds. Don’t do it while sheets are still out. 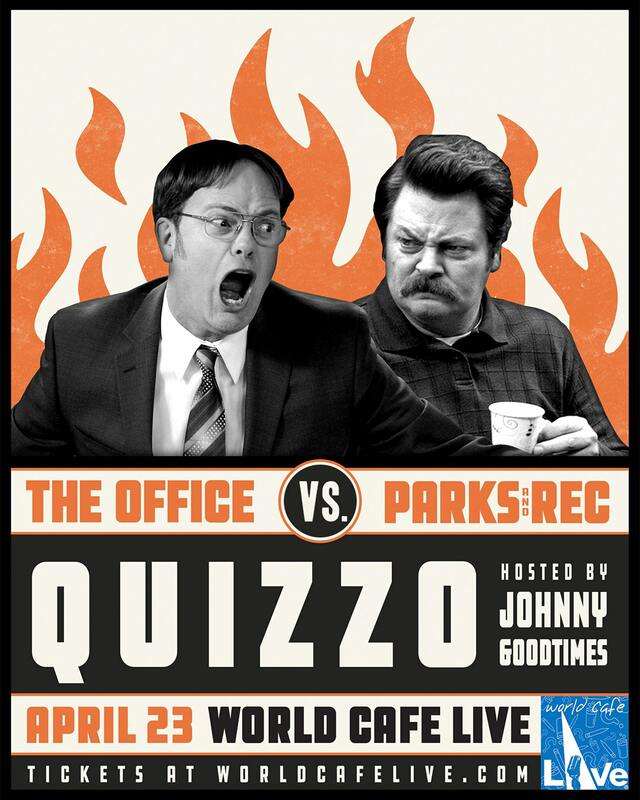 And please hashtag anything you post online with #QuizzoBowl. IS THERE AN AFTERPARTY? Yes! We’re headed to the Market Tavern at 30th and Market after the Quizzo Bowl for a nightcap. THIS SOUNDS LIKE A FUN NIGHT. It is! CAN I STILL GET TICKETS? Yes, you can buy them online at World Cafe Live. SEE YA TOMORROW NIGHT! Great!